“You’re one in a million.” That compliment used to mean something special. Nowadays it means you are like 7,300 other people. And what is the one thing that every one of our 7.3 billion inhabitants knows how to do without written or oral instruction? Right. They all know how to make more people, and take great delight in demonstrating that knowledge. The trouble starts when the next little person arrives, and the previously carefree couple discovers that this little person needs diapers — lots of them. Then business begins, and if that couple doesn’t attend to business, that little person could be in line for trouble. So let’s assume that one in a million is going to believe in absurdities. That makes 7,300 who can also commit atrocities, and that’s about what we have today in ISIS, thanks in large part to a social media that can incite the gullible to believe the absurd. Sorry. It’s more like every three tenths of a second. So should we be surprised that ISIS has been able to recruit an army of sociopaths? Okay, now that we’ve answered that question, how are we going to eradicate ISIS without creating another generation of jihadists? There are many minds better than mine deliberating this question, but as I see it, it’s quite simple. First we finish assembling our coalition of world powers, (65 at last count), then, before we initiate our joint military strike, we petition the Imams of nonviolent pluralistic Islam to denounce ISIS and give our coalition their blessings to eradicate the cancer that has infected their venerable religion. Next we alert moderate civilians in areas where ISIS is known to be in control to put some distance between themselves and ISIS. Everybody except ISIS deplores collateral damage. So we should make it clear to moderate Muslims that if they are standing next to an ISIS jihadist or an al-Qaida jihadist anytime in the next three months, they should remove themselves from that proximity at their earliest convenience, or put their affairs in order. It is time for everyone who condemns jihadism to collectively rid the earth of this scourge. We should take note of the World Health Organization and its 194 member states. W.H.O.’s emergency response capacity is better prepared to deal with a crisis like Ebola than the world is ready to deal with a crisis like ISIS. The total number of deaths from ISIS in 2014 was about 9,000. The total number of deaths from Ebola in 2014 was about 9,000. There are no existing cases of Ebola today thanks to the vigilance of W.H.O. and so many others. So let’s go America, let’s go world, let’s get together and eradicate this walking Ebola that calls itself the Islamic State, ISIS, ISIL, and Daesh. Call it what they may, they are walking Ebola, and let there be no doubt, they will be eradicated. 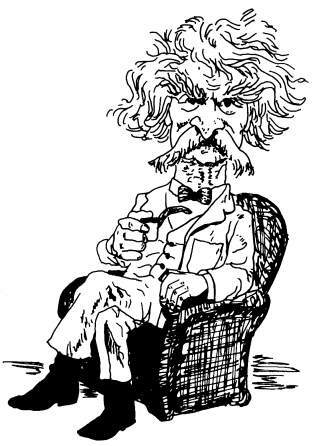 Learn more about McAvoy Layne at ghostoftwain.com.